Book Description: This identification guide provides technical descriptions and photos for Ohio’s 21 invasive and noxious weed species. These descriptions include information on habitat, life cycle, key plant characteristics, and a summary of problematic features. Photos included in this guide present the weed species at different stages of maturity for optimal identification aid. This book also provides information on Ohio’s noxious seed law, extension guides to weed control, and a quick guide to weed regulations in Ohio law. 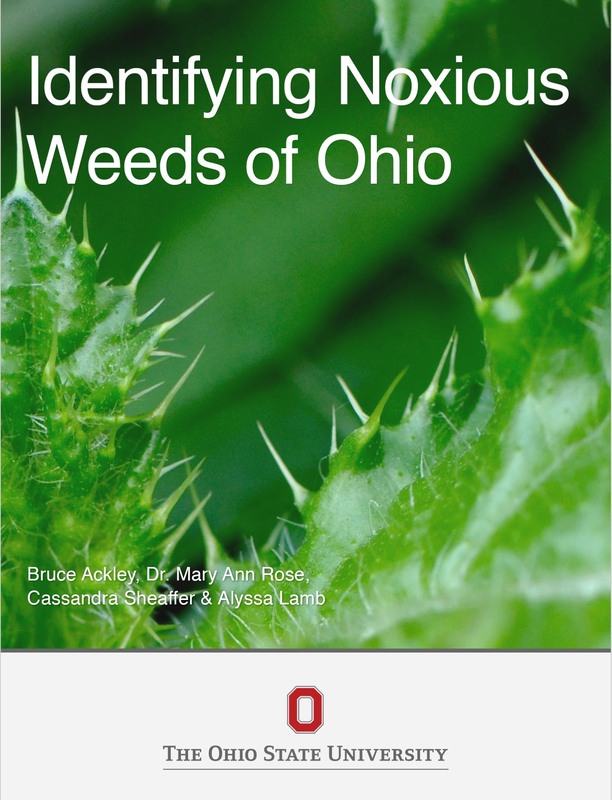 Identifying Noxious Weeds of Ohio by Bruce Ackley & Alyssa is licensed under a Creative Commons Attribution 4.0 International License, except where otherwise noted.